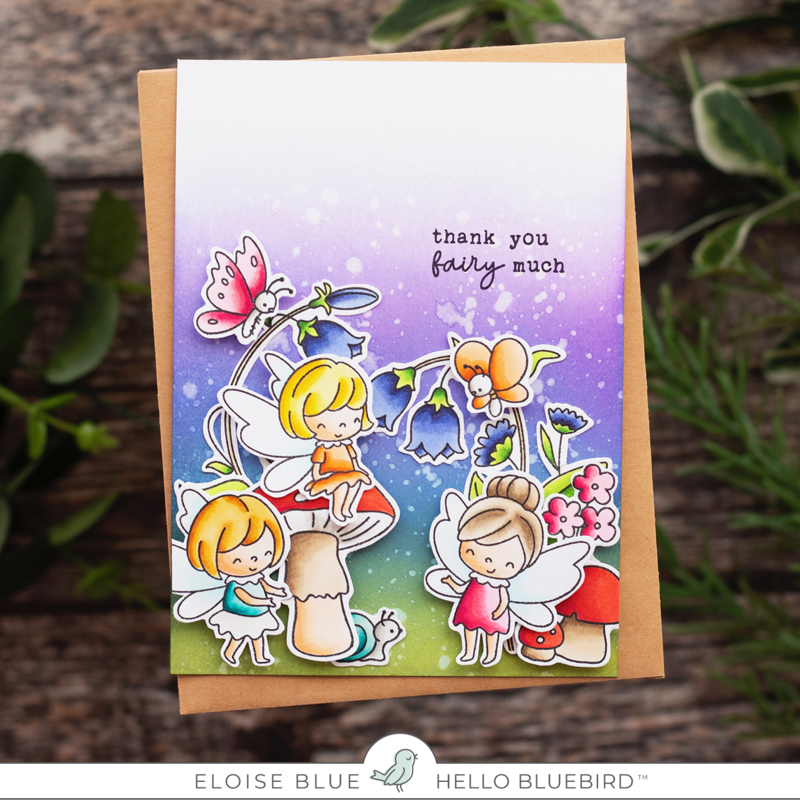 Hello everyone and welcome to Preview Day One for Hello Bluebird Stamps. Today we are showcasing the Fairy Garden and Garden Friends Stamp Sets. 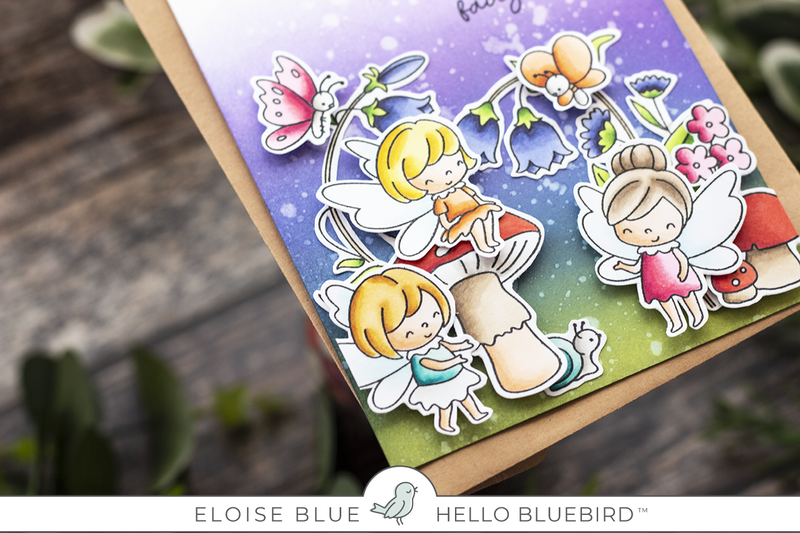 I started off with stamping my images and colouring them in with Copic Markers. I then cut them out and set them off to the side. For my background I took various colours of Distress Oxide Inks and ink blended them upwards, fading to white. I flicked on some water and dried it off with a heat tool. I then added foam tape to the backs of my images and adhered them down into place. 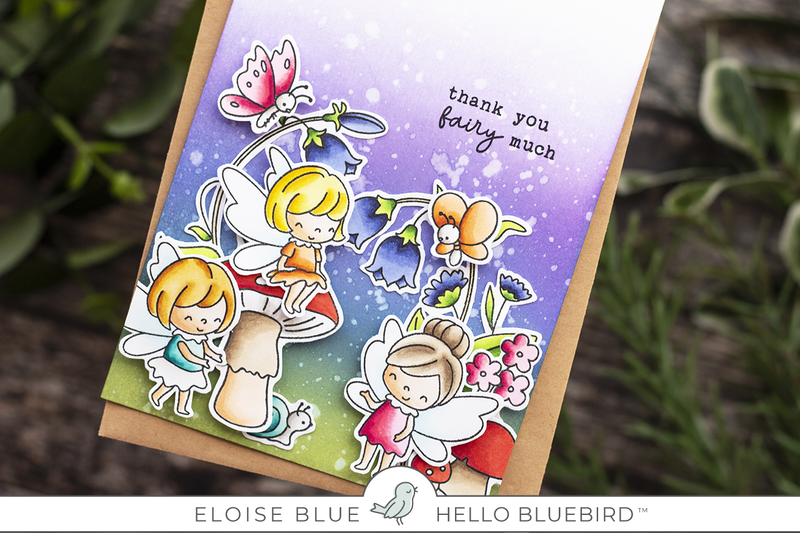 For my sentiment, I stamped the 'Thank You Fairy Much' with black ink. Thanks so much for stopping by and I'll see you tomorrow.